When you are ready to go live with your new Stacks website, you will need to transfer the domain from Stacks to the permanent domain you have chosen. Detailed instructions can be found in the tabs to the left, starting with Domain Transfer Overview. Note: We recommend that a sub-domain be used and that there are at least two dots in the web address. Traditionally, addresses would begin with ‘www.’ Having at least two dots in the web address is important for adding the SSL Certificate. The SSL certificate is the standard security technology for establishing an encrypted link between a server and a browser. Note: You can search for domains available for purchase at Netfirms. Stacks can purchase and administrate a domain purchase for you - on request. Step 2: Where is your DNS? Step 3: Is it a new web address? 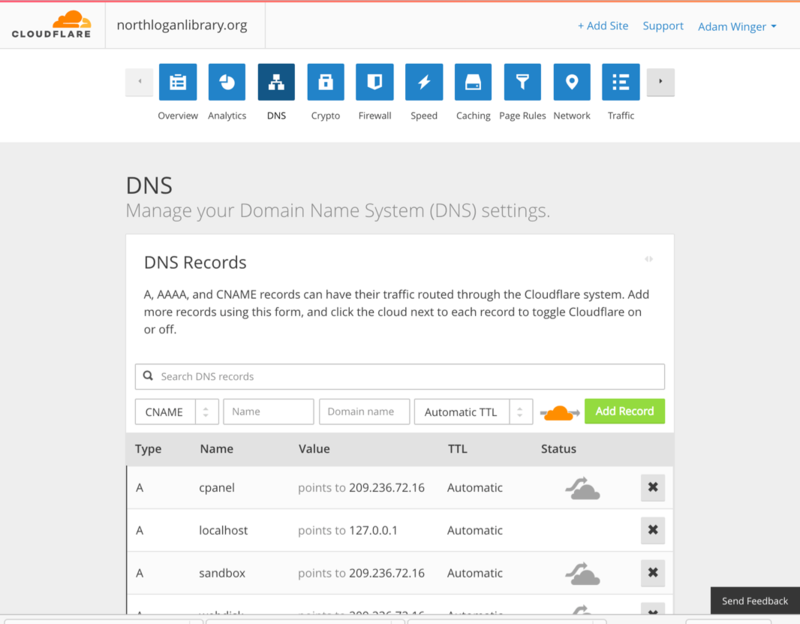 The following provides a guide to transferring and setting up your new domain using Cloudflare. These instructions will assist with transferring your domain. Example Your www CNAME records is ____________ (Provided by Stacks) _________________. Change your domain nameservers to go live! Once your new Stacks DNS records are added to CloudFlare you’ll update your nameservers to start rolling web traffic gracefully to your new website. To change your nameserver you’ll need the login for the registrar who manages your domain name (Network Solutions, Verisign, GoDaddy.com, etc.). 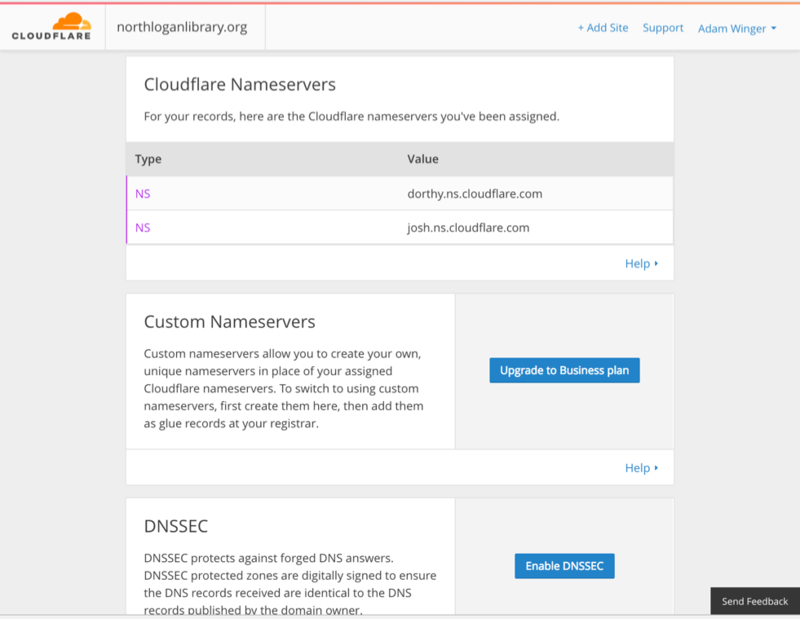 Change all of the listed nameservers to the two new CloudFlare nameservers. This is a google article that details how to add CNAME records in a variety of different hosting platforms. This can help you prepare for Stacks Go-Live. How to Transfer a Domain - 14 Steps with Pictures (WikiHow Article). CNAME records - Google article about how to add CNAME records in various hosting platforms. NetFirms - Search for domains available for purchase.